Discover the new competitive format for your favorite game in 2019! A few weeks ago, we announced that the DOFUS World Series was coming to a close and would be replaced by a new format in 2019. For this new year, we have decided to put the emphasis on the community aspect. 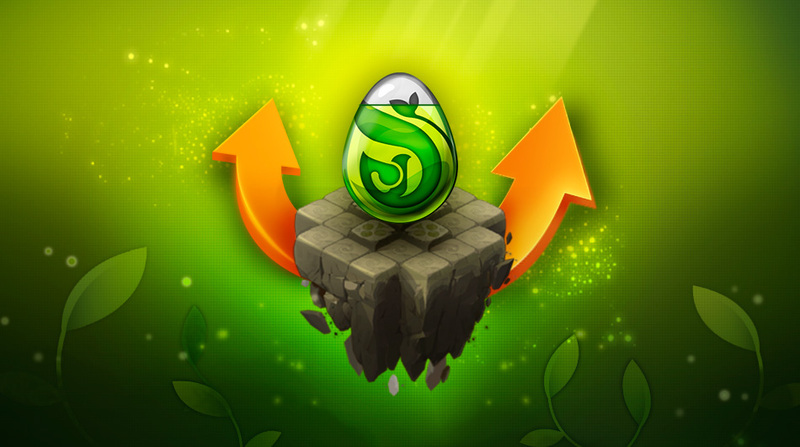 Our main objective is to make it easier for all players to get involved in DOFUS competition if they want. In September 2018, an association organizing tournaments was created within the community, KTA. Ankama rapidly joined up with this initiative to give it a boost by providing a helping hand with communication and a cash prize of €1,000 for season 1.
transmissions of the same quality as during the DWS for each season's climax. We are pleased with the serious nature of KTA's work since the association was created, and we are delighted to offer them much more detailed support for this new year of DOFUS competition! KTA will keep you busy from February to October, either as a competitor or spectator, but we've reserved an official tournament put on by Ankama for you at year's end! The 2019 DOFUS Cup will be held in November, after KTA's two seasons. The competition will be open to all, and divided into two phases: Swiss-style rounds followed by a 32-team bracket system. Some slots in the final phases will be reserved for the best performing teams during KTA's previous two seasons. The draft format will still be present, but only starting with the final phases. As with the DWS, the tournament cash prize will be a base sum plus a variable contribution that will evolve based on shop sales. You now know more about the form that DOFUS competition will take in 2019. All that's left is to gather your friends, review your classics, and be ready for the start of hostilities at the end of February!